South African President Jacob Zuma has been given 48 hours to leave his post as the head of state following an emergency African National Congress (ANC) party meeting. 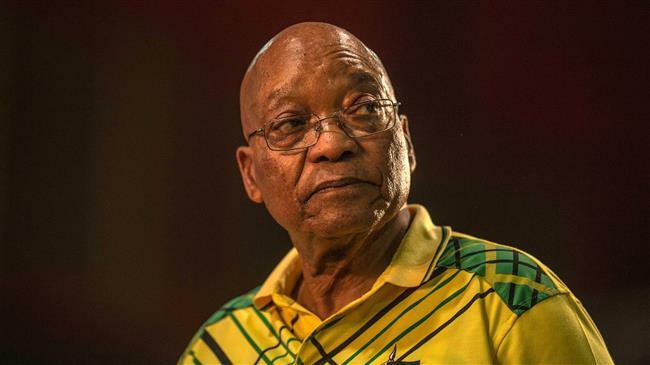 According to local media on Monday, the ultimatum to step down or be stripped of office was put on Zuma at the end of an eight-hour emergency meeting of the ANC’s top ranking members known as the national executive committee (NEC). “Obviously we have reached the end of the road with the man – we will recall him,” said one NEC member before the meeting began. The meeting was held after five days of talks between Zuma and Deputy President Cyril Ramaphosa failed. Ramaphosa delivered the ultimatum in person to Zuma following the NEC meeting. South African Deputy President and newly-elected president of the ruling African National Congress (ANC), Cyril Ramaphosa speaks during a rally on February 11, 2018 in Cape Town. Zuma, whose tenure officially runs until mid-2019, has come under pressure to leave office over corruption allegations. He was replaced as leader of the ANC by Ramaphosa in December last year. Zuma engineered the ouster of former president Thabo Mbeki in 2008 shortly after he was elected as the leader of the ANC. The ruling party lost ground to opposition groups, the Democratic Alliance and the Economic Freedom Fighters, in the 2016 local elections. Many within the party now want the 75-year-old president to go as soon as possible so they can rebuild the party’s standing following the corruption allegations, which have provided political fodder for the opposition. Zuma is accused of having links to the wealthy India-born Gupta family, who are alleged to have influenced his government. Zuma and the Guptas, however, deny the allegations.